Are you a Vinylmation fan? I guess I'm a little behind because I'm new to the craze. 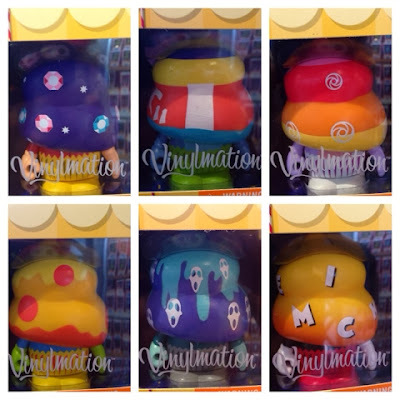 At Downtown Disney at Walt Disney World there is a whole store devoted to Vinylmation and other edgier Disney items called D-Street. I pretty much fell in love with all of the Star Wars shirts there. 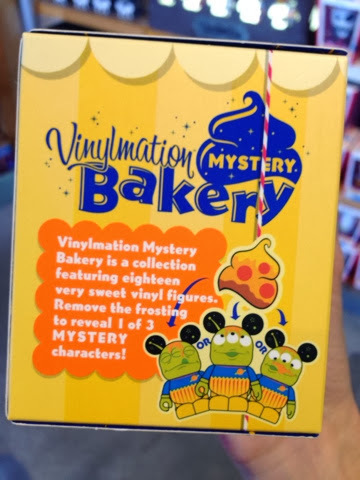 Anyways, I spotted this line of Vinylmation called Mystery Bakery. 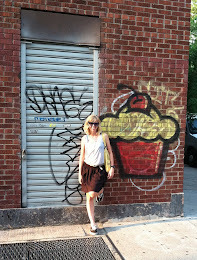 There are 18 collectible figures, each hidden by a cupcake frosting top. Each figurine is $12.95 each and are designed by Ron Cohee.